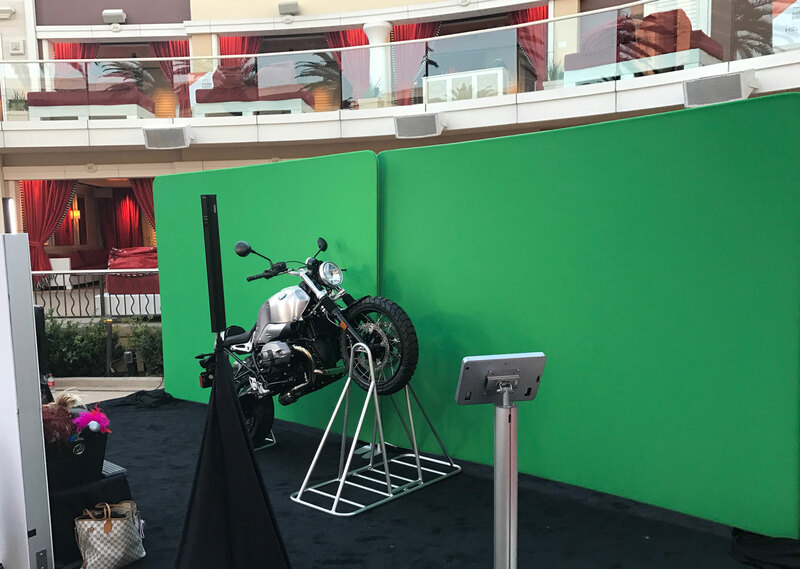 Recently in Las Vegas we produced an interactive green screen setup with our photobooth kiosk featuring a motorcycle. 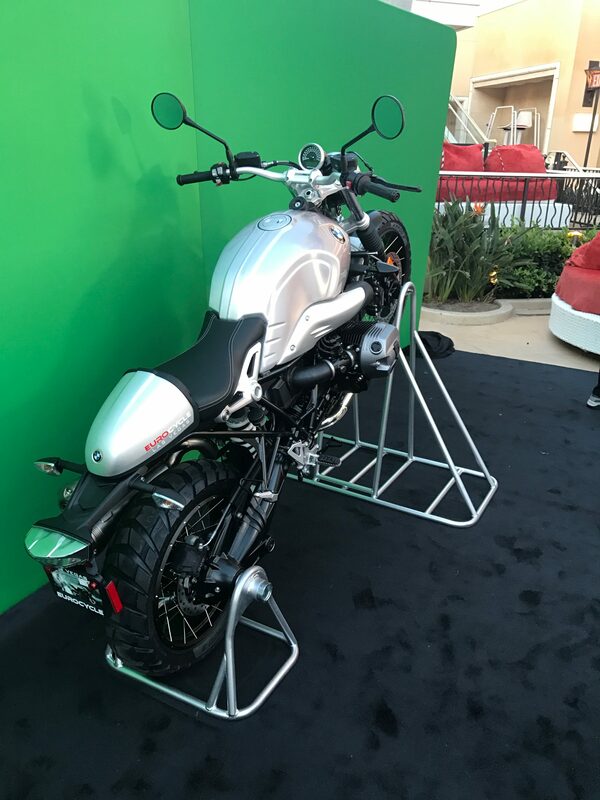 The motorcycle was positioned so it would look like guests were riding and doing tricks on it with the wheel up in the air. Our green screen software applied graphics to create a photo with the guest riding through flames! Guests were able to share their photo on social media including Facebook, Twitter, and Instagram and received a branded printout. Our green screen technology has many different applications and can be set up to create numerous virtual scenes for our clients. All outputs can be fully branded and shared on the most popular social networks as photos or GIFs. We also provide social media reports and analytics – giving our clients valuable post event reports. All of our photo booths can be fully branded. Paired with a completely white labeled and branded screen interface, our photobooth activations provide an immersive branded experience for consumers and brands. Contact us to help conceptualize and produce your photo activation!